Our business solutions portfolio and solutions for global businesses. The Vodafone Messaging Hub (VMH) provides Mobile Network Operator’s (MNO’s), SMS Providers, SMS Aggregators, and Over-the-Top providers with a secure gateway for all A2P and P2P SMS messages to Vodafone’s footprint and beyond. A single gateway for all your Application-to-Person (A2P) SMS messages. A single gateway for all your Person-to-Person (P2P) SMS messages. The Vodafone Messaging Hub provides reliable, high quality, and secure delivery of A2P and P2P SMS. VMH is a single gateway for all A2P and P2P SMS messages to Vodafone’s 500+million and beyond. 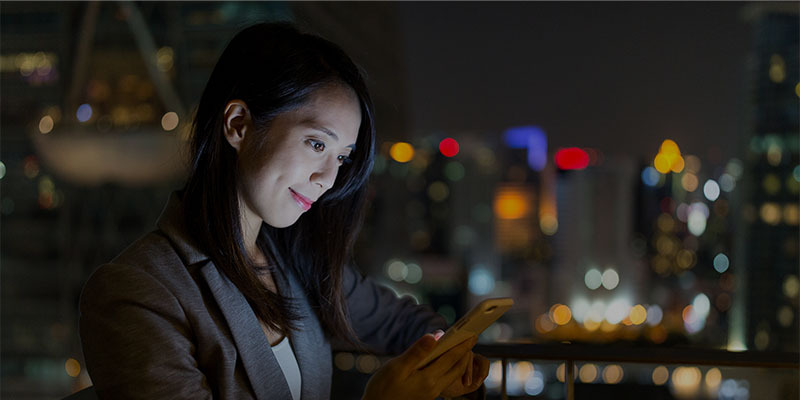 Through a single interconnect and commercial agreement, Vodafone Messaging Hub (VMH) simplifies SMS management using a centralised hub, reducing the complexities of reaching Vodafone’s customers and global footprint. Application-to-Person (A2P) SMS message volumes are experiencing double-digit annual growth. According to Ovum’s report “Leveraging the A2P SMS Opportunity, 2017”, these volumes are expected to reach 1.5 trillion in 2022. Enterprise customers demand excellent service levels with security and fraud protection for their mission critical use of ‘application to person’ - A2P SMS (e.g., bank alerts, delivery reminders, two-factor authentication, surveys). Reliable, quality and cost-effective delivery to mobile end users is vital to this market. With over 950 operator members of the GSMA and an increasing number of access technologies, the traditional peering model for SMS interconnection has become increasingly complex. Vodafone Messaging Hub solves these challenges by providing a single gateway for all your A2P and P2P SMS messages to reach Vodafone’s 500+ million customers and beyond. Why choose Vodafone Messaging Services? Reliable delivery or notification that a message cannot be delivered, improving Customer Experience. Advanced fraud, spam and faking protection to eliminate grey route traffic, protecting a service provider’s brand and commercial integrity. World-class technical support from the team that cares for Vodafone’s own global customer traffic. One commercial agreement to deliver to Vodafone’s 500+ million mobile customers. A single technical connection to VMH, enables a service provider to reach Vodafone’s 26 Local Markets (countries) and more. Mobile Number Portability resolution is ensured. Wide and deep reach to Vodafone’s footprint and beyond. VMH offers one resilient technical connection for both GSM and CDMA, and supports all messaging protocols - SS7, Sigtran, SMPP, and a simple API. Please get in touch with our Messaging Account Team. Vodafone Carrier Services manages the commercial relationships with over 1,000 communications service providers globally and offers a broad portfolio of voice, network connectivity, and messaging services. Vodafone has one of the most reliable and wide-reaching global networks that spans across and between Europe, North America, the Middle East, Africa and Asia-Pacific. It is ranked in the Top 10 Global Internet Providers and for the fourth consecutive year is the world’s largest international voice carrier. Through a single connection to Vodafone, a service provider can support its worldwide communication needs and access the unrivalled scale and reach of Vodafone’s network, benefiting from the same quality management used to support its own global customers. © 2019 Vodafone Limited. Registered Office: Vodafone House, The Connection, Newbury, Berkshire, RG14 2FN. Registered in England No 1471587.